F1's blueprint for the future is in place, finally. On Wednesday last week the FIA rubber-stamped new engine regulations to be introduced for the 2014 season, previously hammered out by the teams. This means that the current 2.4 litre V8 units are on the way out, and will be replaced by 1.6 litre V6 turbos with more liberalised energy-recovery systems and using around 35% less fuel, while generating the same level of power as now. I'm going to don my tin hat and say that it's about time too. The changes have been criticised widely, right from their initial suggestion, and this will no doubt continue until the things are used in anger in the opening round of the 2014 season. Bernie Ecclestone has been particularly vocal, many F1 circuits are apparently threatening to decamp to the Indycar series, and F1 fans' forums also invariably betray extensive hostility to the new regulations. The main concerns are the loss of the high-revving scream of the current F1 engines which has an appeal in itself, as well as that the concentration on conservation and efficiency instead of excess is against what F1 'should be about'. But no man is an island entirely of itself, and such a view I feel disregards that F1 does not and cannot exist inside a bubble. F1, like everything, can only proceed with the permission of the society around it. Its ticket sales, support, investment, sponsorship and regulatory framework in which it can operate all come from society more widely, and without these F1 could not survive. The new engine rules are designed precisely to assist F1's wider appeal and acceptance. It's worth reflecting that in business, just as in the animal kingdom, it is the adaptable, rather than the powerful necessarily, that survive. 'Green' issues, however you define them, are important and are not going to disappear, and it is a virtual inevitability that F1 in its current form would encounter the gargantuan environmental lobby at some point, and I wouldn't like to guess how that one would turn out. F1 has no divine right to exist, and it's not beyond the realms of possibility that future governments would see the termination of an F1 event, or even the stopping of motor sport within its borders altogether, as a perfect, dramatic, high-profile and clean-cut means of demonstrating environmental credentials. These new engine regulations demonstrate a proactive desire by F1 to develop 'green' technologies, and develop a fantastic story to tell in how the sport has contributed to more environmentally-friendly technological solutions, and thus protect itself from such challenges. This, while it doubtlessly creates challenges, is also a wonderful opportunity for F1. F1 attracts the best and the brightest and this, combined with the intensity of competition, usually ensures the rapid development of technological progress (only war rivals it, and F1 for all of its faults is much less harmful than war!). The ability of F1 engineers to find new solutions to a problem and have it on the car in a matter of days is legendary. The potential for F1 greatly accelerate the development of green technologies as well as in Ross Brawn's parlance make efficiency 'cool', which will bring benefit to all of us as well as give the sport a fantastic story to tell, is obvious. It will also provide a completely new area of challenges for F1 engineers to get their teeth into. F1 indeed is already beginning to develop a strong line of defence for itself. Pat Symonds has commented that KERS-type technologies had virtually been abandoned by the automotive industry, but its development by a handful of F1 teams in the 2009 season was sufficient to bring it right back onto the industry's agenda. Now cars in the showroom boasting energy recovery based power features are commonplace. Williams selling flywheel KERS technology to be used on buses, trains and the like is also a fantastic story for the sport. And there of course is a myriad of potential associated benefits to F1. This includes attracting new investors, new sponsors, new technical partnerships, new fans even, who are attracted by the sport's new direction. Indeed we're already beginning to see this. Richard Branson's involvement in the sport was dependent on F1 showing greater green focus, and sponsorship deals and technical tie-ups in this area are beginning to happen, such as Renault's with Trina Solar, a major player in sustainable technologies. I don't believe it's a coincidence that at a time when the F1 engine spec is at such a variance with what manufacturers are trying to do that we have only three road manufacturers (one of whom was threatening to leave if there was no change) and one independent manufacturer supplying engines in F1, with many famous names pulling out in recent years. Manufacturers aren't perfect of course, they have a tendency to disappear at a moment's notice from the sport and to escalate the sport's costs (which would have to carefully managed if new manufacturers were to come in). But given the expertise, investment, technical variation and brand recognition they bring to F1 it can't be denied that the positives of their involvement far outweigh the negatives, particularly at a time where there are so few manufacturers in F1. Anything that encourages the Audis of this world, and others, to get involved in F1 has to be a good thing. And finally there's the crux of many people's objections, the noise of the new machines. I can't help but think things won't be nearly as bad as many anticipate. Speaking purely personally, while I can appreciate the growl of a Matra V12, I've never considered engine noise as an overarching priority for F1. I fully respect why many fans disagree though, and having heard the noise of GP3 cars last weekend, whose note sounded remarkably similar to that of a Transit van, I accept the noise is part of the experience when you're at a motor race. 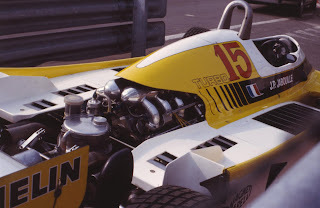 Still, these new engine regulations effectively take us back to the 1980s (when 1.5 litre turbos were de rigueur). I've yet to hear any F1 fan, when the 1980s turbo era is raised as a topic, say spontaneously 'didn't those cars sound rubbish'. Instead, it's seen as a great age of racing, with great engines. I further didn't feel short changed when I attended Le Mans last month to find the pace-setting teams running turbo-diesels which revved to only 12,000rpm (much less than the 15,000rpm limit in the new F1 regulations). I doubt many of the other 250,000 spectators felt that way either. 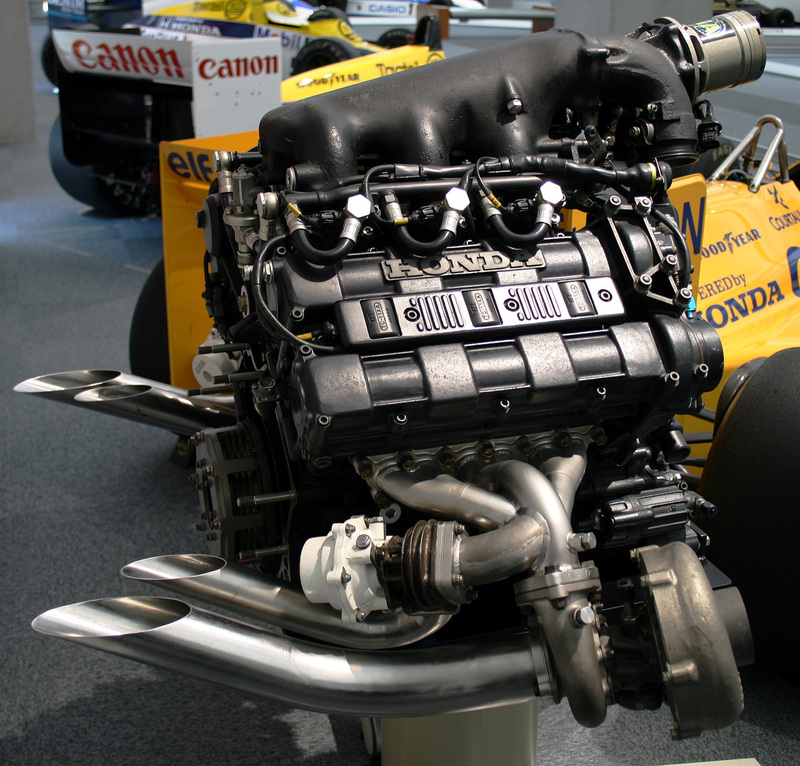 The FIA insist that while: 'the (new) engine will sound different' it 'will remain representative of Formula One'. And, slightly off piste, I'm not the only one to suspect that Bernie's objections to the new engine regulations owe something to his current power politics with FIA President Jean Todt rather than entirely reflecting genuine concerns about the experience of the fans at the track (which if it were the case would be a Damascene conversion). And all of the circuits taking their ball off to Indycar isn't credible, especially as the Indycar engine regulations are such that their noise is less impressive than that of the forthcoming breed of F1 engines. Change is always difficult, and I don't doubt that the concerns that many fans feel about what may happen to the sport they love as a result of these new regulations is genuine. But I feel that the move is not only entirely necessary, it is entirely desirable. It represents a magnificent opportunity for F1 to improve its wider image, ensure its continuation as a sport, as well as to develop new fields of technology and to attract new fans, manufacturers and other organisations into the sport. We have nothing to fear except fear itself. Graham, couldn't see a way of contacting you except via comments - just wanted to say that a) love the blog and b) over on the Whyte & Mackay F1 blog we're giving people the chance to leave questions for Paul di Resta and Adrian Sutil. We'll be putting the q's to them on Thursday night when we catch and will - depending on the number of q's left - get them all captured on video. First of all, thanks very much for the nice words! Glad you like the blog. Thanks also for the heads up on the Q&A you're doing with Paul Di Resta and Adrian Sutil. A great idea and great opportunity to access the drivers. I'll wrack my brain for questions! I've also tweeted the links. Hope you get a good response, I'm sure you will! Bring on the turbos! The rumours of these engines being v4's is what got me angry when I first heard of it some 5 years ago. But v6 turbos? What's not to love? Mmmmm, personally i'm not convinced. I think a greater change in aero rules would be better. Being an old fart (57) when it was 22 DFV versus 2 Ferrari powered cars racing was much closer. The manufacturers surely must look and think "So we're going to design and build an engine that wont change for 5yrs (i think) Where's the long term challenge ?" I'm divided in my thoughts, yes the world economy is not in a good place but on the other hand F1 was, and should be, the ulimate in decadence. Its got boring, the racing is not close, drivers cant talk without someone there from the team recording every word they say, even the teams have such a narrow set of rules to work to that we're never going to see a "revolutionary" design .